1.Use a creamy highlighter for a well-contoured face with exceptionally highlighted cheekbones. 2.Use Dream Velvet Satin Skin Foundation to match your skin tone. Also, Fit Me! Concealer seamlessly covers discolouration, if any. 3.Apply the lighter gold shade from Maybelline New York Nudes Palette from the inner corner of the eyes into the outer crease. 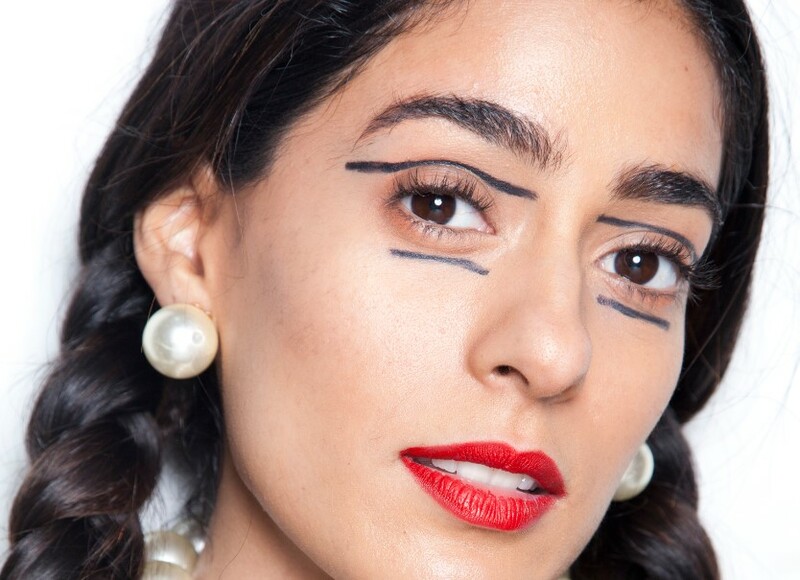 4.Fill your brows with the Fashion Brow Duo Pencil. 5.Swipe the Candy Wow Lip Balm in Peach for a translucent shine to the lips as well as cheeks. 6.Accentuate the cupid’s bow with a free hand swipe of Hyper Glossy Electrics Liner in Gold-Iation following the natural shape of the pout. 1.Start with Dream Velvet Matte Soft Hydrating Foundation for the base. 2.Use a highlighter to make sure the light bounces off the face. 3.Use Fit Me! Blush to brighten the cheeks. 4.Fill in the brows with Fashion Brow Duo Pencil. Swipe a generous amount of Lash Sensational Mascara. Don’t forget to add multi-coloured glitter on the lower corner of the eyes. 5.Cover the lips with Baby Lips Candy Wow in Peach. 6.Dab on silver glitter with a make-up brush. 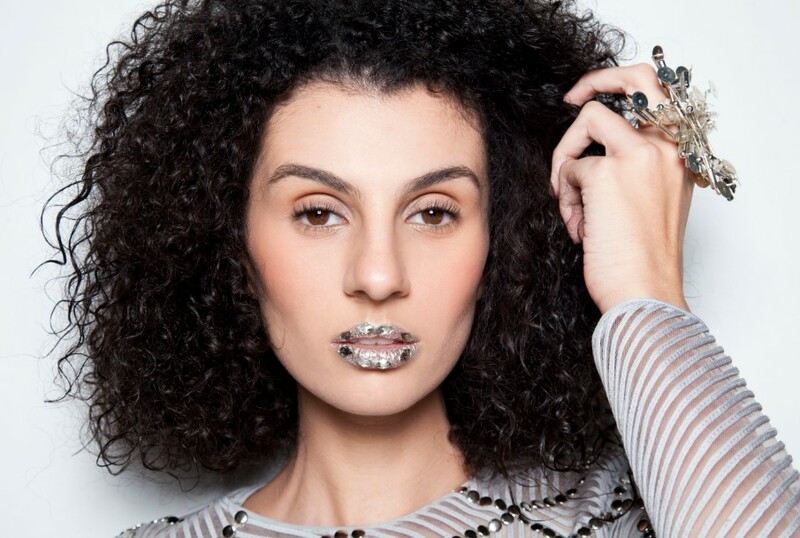 In this case, Swarovski rhinestones in white and light gray shades were pasted on the lips with eyelash glue. 1.Use the Drama Gel Liner to draw parallel lines on the eyes. With the help of a slanted brush, draw the lines using a visiting card or place a paper on the eyes and then draw parallel lines. The longer one should be on the bottom of the eyebrow from corner to corner. And the one below, from eyelid to eyelid, parallel to each other. 2.For the lips, use a red from the Vivid Matte collection. 3.Finish with a generous dose of mascara for the eyes. 1.Use V Face Studio Duo Stick to contour and highlight the cheekbones. 2.For a dramatic effect, you could paint Love all over the eyelids with Drama Gel Liner in Black. 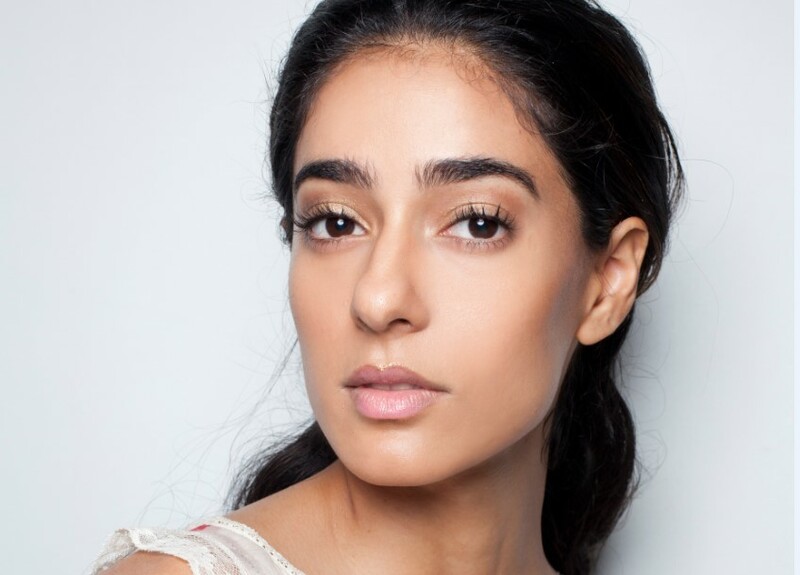 3.Use the Fashion Brow Duo Pencil to fill in the brows and maintain an edgy look. 4.For the lips, swipe a neon pink shade and top it with multi-coloured glitter.